Hello and welcome to Mastering-Roulette.com. I'm Ted Knuden, a recreational gambler and odds enthusiast. Over the past 20 years or so I've refined my love of casino games a little, and developed personal strategies for approaching each of the games I play. This site, along with its partners, is my offering to the rest of the world. After reviewing some of my old videos, friends convinced me that I should take my teaching style online, and so this is the result. 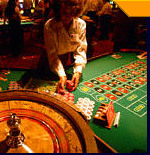 Whether you're a novice or a pro at roulette, there is something here to interest each and every one of you. If you'd like to brush up on your rusty skills, what better way to do that than a free game of roulette? Go ahead, put your skills to the test. Now, for those that are a little shaky on the topic, I invite you to explore the rest of this site's contents. I have tried my best not to make this game sound any more complicated than it already is, but you be the judge of that. Being the age that I am, it has become somewhat of a task to put myself in other people's shoes and what might make sense to me, might be complete gibberish to you. Let me know if that's the case and I'll try to clear things up for you a little further. In my early gambling career - going back way to the early 80's - craps used to be my all-time favourite; the thrill of the game was something exceptional. 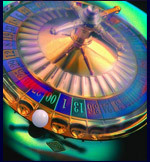 I was never a big fan of roulette, always thinking that it lacked in speed and excitement. Now that I am a bit older and quite a bit greyer (still handsome, though, and concerned with my health as a senior), things have slowed down for me. Over the last couple of years, roulette has become one of my most preferred gambling games; I am better able to keep up with the roll of the game. This is not to suggest that roulette is a drag - quite the contrary; the speed is just right to allow a player to enjoy the game a little more. It is still quite an eventful game compared to keno, for instance, which I have never even touched on. Feel free to take a tour of the site. Everything is organized in a fashion so as to make browsing and finding information easier for you. Make sure to take a peek at my tips page. I tell you, over the years I've had a number of painful lessons - it comes with the game. But at least I had an excuse. When I was starting out as a novice gambler, information wasn't available as vastly as it is today and you learned things, well, by trial and error. Also, many of the games as we know them were, then, only in their development and testing stages, thus, allowing for much to be learned. Enough said, listen to the old man and give yourself a better chance.